Throughout history, several civilizations have used a club and ball as an entertainment or game. The Romans, for example, played pangea, which according to the Roman scribe Catullus would appear to be the father both of modern hockey and the Celtic games of Shinty and Hurling, both of which use a ball–often played in the air–and stick in very fast-paced field play. When looking in particular at the origins of modern golf, one must first caste one’s eyes back to the Song Dynasty (960-1279) of China. The Dōngxuān Records, written by Wei Tai of the Song Dynasty, alludes to a game called chuíwán, which sounds a lot like golf: The game was played using 10 clubs, including a cuanbang, pubang and shaobang, which are similar to the driver, two-wood and three-wood that we use today. The ‘golf’ clubs that were implemented in the game were inlaid with gold and jade, which suggests that chuíwán was a game for the wealthy. This evidence was unearthed by Professor Ling Hongling of Lanzhou University. Ling argued that the game of chuíwán was exported to Europe and then Scotland by Mongolian travelers in the late Middle Ages and that was how the modern game of golf came into being. Although it sounds like a nice story for the origins of modern golf, more evidence is needed to support this hypothesis. Below is an illustration of the Ming Emperor Xuande playing chuíwán. Another game that rather resembles the modern game of golf was known in Mediaeval Continental Europe. 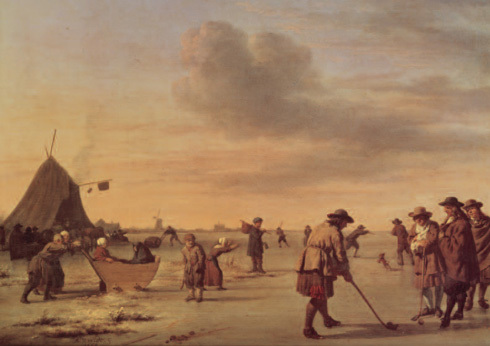 The first attested instance of this game being played is on 26 February 1297, in a town called Loenen aan de Vecht, in the Netherlands. Just like modern golf, the aim of the game called “Koff” was to hit the ball in the least number of shots into a hole that was a few hundred yards away. The Dutch played this game using a club and leather ball. A painting from Holland in the 14th century showcasing locals playing “Koff”. Although the previous examples may point to a different origin, most people the world over consider Scotland to be the nation that created the modern game of golf. This is emphasised by the Royal and Ancient Golf Club of St. Andrews, who state that “Stick and ball games have been around for many centuries, but golf as we know it today, played over 18 holes, clearly originated in Scotland.” The first attested reference to golf in Scotland occurs in the 1457 Act of Scottish Parliament. This was a proclamation by King James II of Scotland banning the game of golf because it was a diversion from archery practice implemented for military purposes. Other Acts of Parliament banning golf occurred in 1471 and 1491. It was also rumoured that Mary, Queen of Scots, played the game of golf. The unique conditions in Scotland allowed the modern game of golf to take hold: a temperate climate, lots of open areas near to, but separate from, town centres, and links that were ideal for golf. 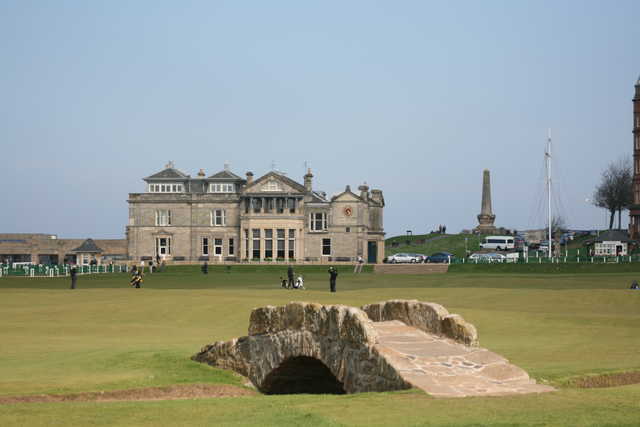 Most of the early areas where golf was played were coastal areas and mainly on the east coast of Scotland. It was not until the beginning of the 17th century that the game of golf started to spread outside its natural habitat of Scotland. In 1603, King James VI of Scotland succeeded to the throne of England and moved to the Royal Palace in Greenwich. Along with his considerable entourage, he brought the game of golf. The Royal Blackheath Golf Club can traces its origins to when King James’ son, Henry Frederick, Prince of Wales, and his courtiers gathered to play golf on the higher ground of Blackheath above the palace in London. There is also evidence that during the 18th and 19th centuries the game was taken to the British colonies and other areas by Scottish expatriates, immigrants and soldiers. Examples of this are the Royal Calcutta Golf Club, founded in 1829, and the golf club at Pau in France, founded in 1856, which are the oldest golf clubs outside of Britain. 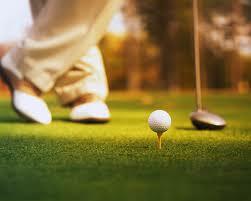 However, it was not until the late 19th century that golf really took off and became popular around the world. This coincided with the development of a new ball called the Gutty that was made out of gutta percha, which was more consistent in performance and quality, more durable and cheaper to mass produce than the earlier leather balls.> By 1880, England had 12 golf courses, which had risen to 50 by 1887 and more than a 1000 by 1914. At this time, golf had also spread across the British Empire, with golf clubs being established in Australia, Canada, Ireland, New Zealand and South Africa by the 1880s. It also spread throughout the United States, which established the USGA (United States Golf Association) in 1894 and and had 267 golf clubs by 1910. Although Japan came late to the party, players had also established their first golf club by 1903 in Kobe. From mysterious and much-debated origins to a game with over 35,000 courses and 50 million players worldwide, golf seems to become more popular with each passing year. The Romans, the Chinese, the Dutch and even the British royals enjoyed their own versions of hitting the links. So the next time you decide to hop in your golf cart and spend a day on the green, remember you’re following in ancient footsteps. -Author: Russell Fleming has a Masters degree in Ancient History and Classical Archaeology and an MLitt degree in Ancient History from the University of St. Andrews. History of the club, Pau Golf Club website. Harrell, E., ‘Chinese chip in with claim to golf’ in The Scotsman (11 January 2006). Hongling, L., ‘Verification of the Fact That Golf Originated From Chuiwan’ in ASSH 14, 1991, 12-23. Lowerson, J., ‘Scottish Croquet: The Enlgish Golf Boom, 1880-1914’ in History Today. (May 1983). Nijs, G & S., ‘1297, Loenen aan de Vecht: Facts or Fairy Tale?’ in Golfika 4, 2009. 5. Golf in Scotland, 1457-1744. 6. Our History, Royal Blackheath Golf Club. 7. History of the Royal Calcutta Golf Club, Royal Calcutta Golf Club website. 8. History of the club, Pau Golf Club website. 9. The Gutty, Golf Ball Museum website. This entry was posted in Blog, Public Life, Recreation, Sports and tagged ancient history, AntiquityNOW, Celtic, chinese, golf, Romans. Bookmark the permalink.